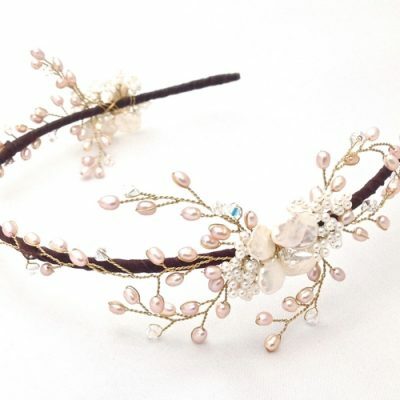 Petite Florence Crystal Hair Vine. 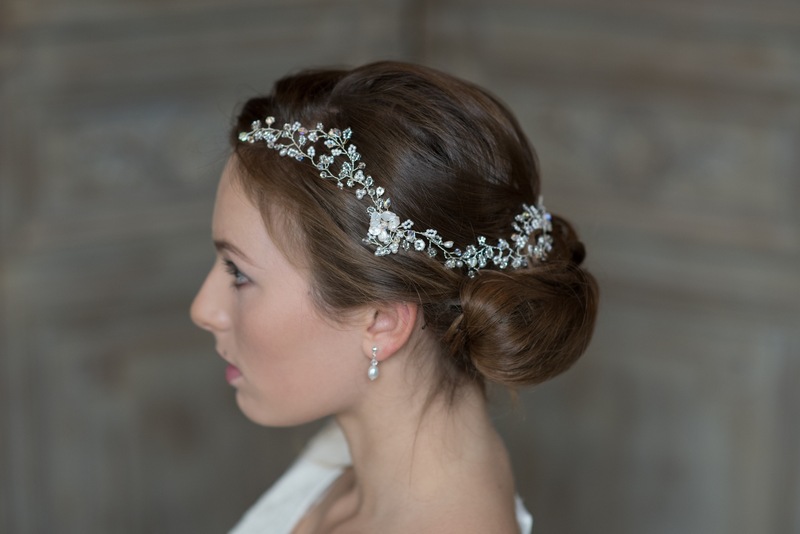 So beautiful and intricate; this delicate ivory pearl and crystal vine can be pinned into the hair either at the side or over a bun at the back. It truly looks like crystal and pearl lace in the hair and looks so elegant and perfect with a lace dress or lace capped sleeves. The image shows 2 hair vines but the price is for 1. The bride is wearing 2 of these vines. SKU: N/A. Categories: The Botanical Collection, The Hairvine. 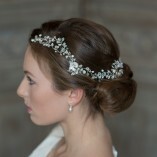 Petite Florence Crystal Hair Vine. So beautiful and intricate; this delicate ivory pearl and swarovski crystal vine can be pinned into the hair either at the side or over a bun at the back. It truly looks like crystal and pearl lace in the hair and looks so elegant and perfect with a lace dress or lace capped sleeves. 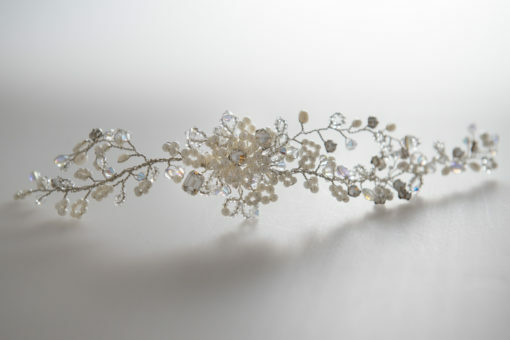 After the wedding this vine can be recreated into a cuff to be worn in memory of the wedding day. 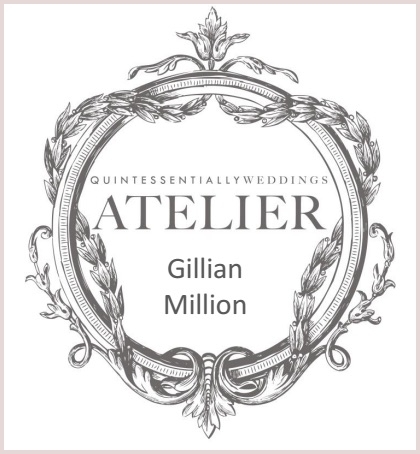 Gillian Million is an Atelier of the most exquisite and luxurious wedding accessories all designed to order by her extremely talented creative team who design and create to perfection. 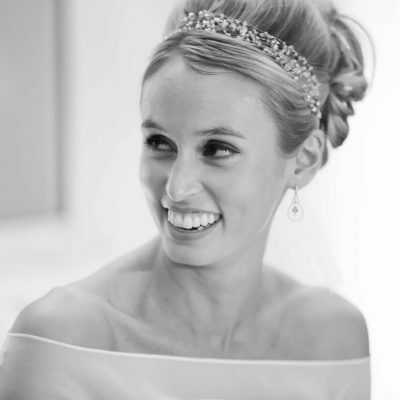 Gillian creates bespoke pieces for brides all over the world including celebrity and royal clients.